The very first high-speed railway might be open not in the European part of Russia, but in the Ural. Such a statement has been made by the local government and investors. The development of the route between Moscow and Kazan might be postponed in favor of the leg of the route Yekaterinburg - Chelyabinsk. Both these legs of the route are part of the programme of High-speed railway Moscow-Beijing, which was supposed to start with the leg Moscow - Kazan. Nonetheless, OJSC "RZD" and Cabinet of Ministers, yet, cannot find common agreement on the financing of this part of the road. OJSC "RZD" claims at least 400 milliard rubles for the development of this route, while the cost of the whole project is estimated to be 1.288 trillion rubles. As a compromise, Railway Company, suggests the development of the route Moscow-Vladimir, but even this leg would cost more than the route in Ural (459.5 milliard roubles versus 360 milliard rubles). 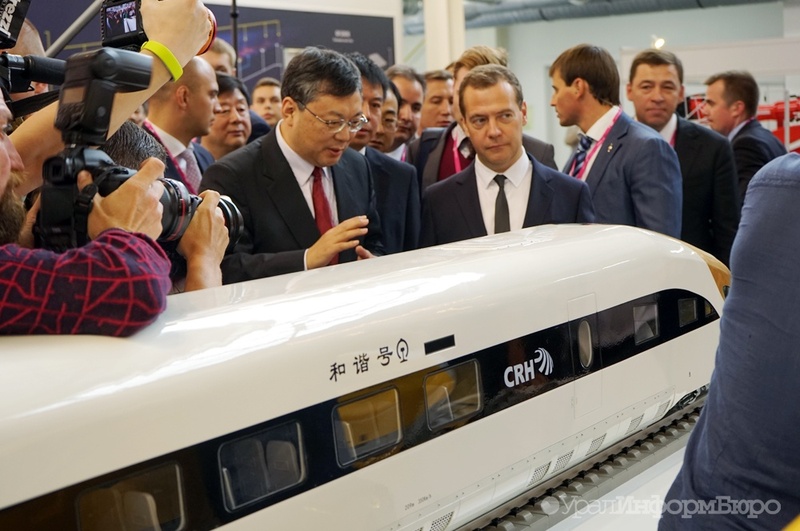 The local investors in the Ural region have shown a high interest in the earlier development of the Ural's railway. The economic partnership "Ural Expressway" has submitted to the government a private concession initiative on the construction of a section of the High-speed railway in the Urals. The partnership involves the Chelyabinsk Tube Rolling Plant, the investment group RVM Capital and other investors. They applied together with the authorities of Chelyabinsk and Sverdlovsk regions. It is planned to cover the development costs partly from the investors' funds and partly from the budget. The construction of the new railway will shorten the trip duration between Yekaterinburg and Chelyabinsk from 3.5 hours to 1.1 hours. According to Ruslan Gattarov, the deputy governor of the Chelyabinsk region, "the road will unite Chelyabinsk and Yekaterinburg into a single conurbation, and will create the third capital of Russia with a single labor market."